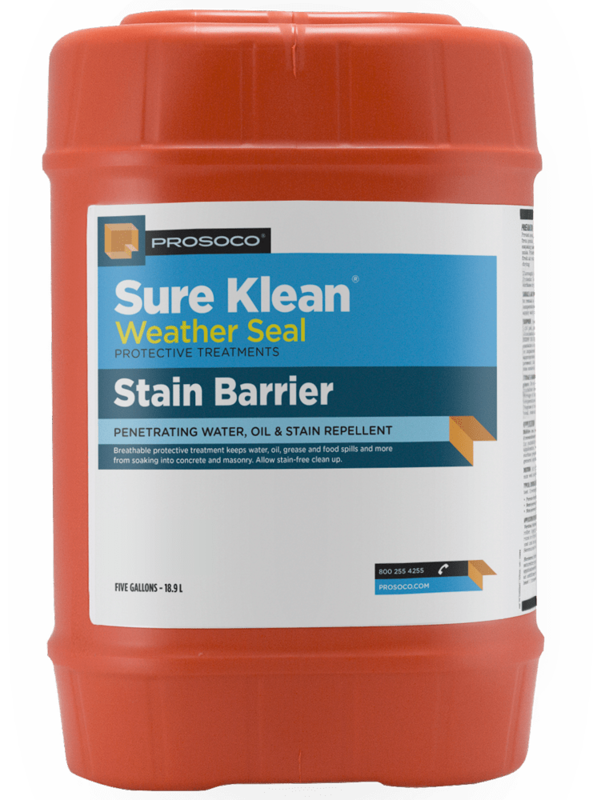 PROSOCO Stand Off® Stain Barrier is a penetrating water, oil and stain repellent. 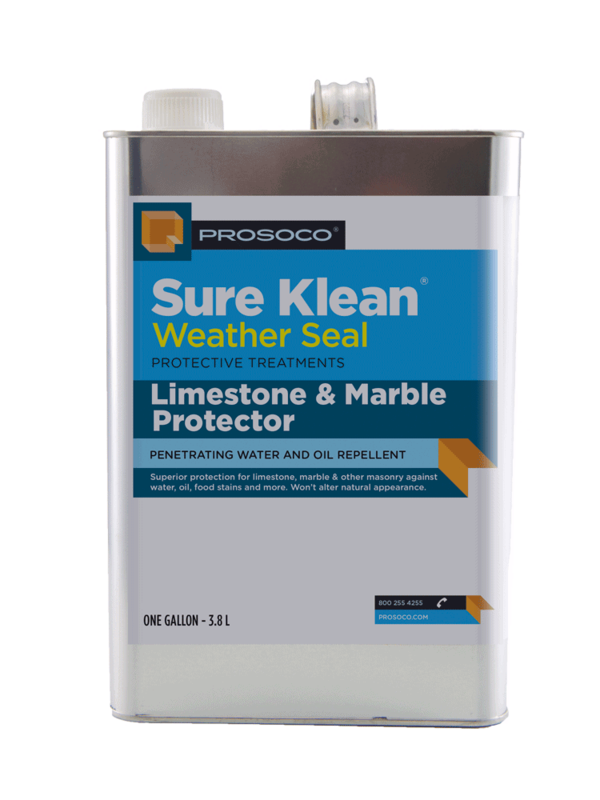 This easy-to-use, low-VOC, low-odor protective treatment improves stain resistance and simplifies maintenance cleaning of interior and exterior stone, quarry tile, concrete and masonry surfaces. Surfaces treated with Stain Barrier resist staining from oil, food and waterborne matter while retaining their natural color, texture, and breathability. 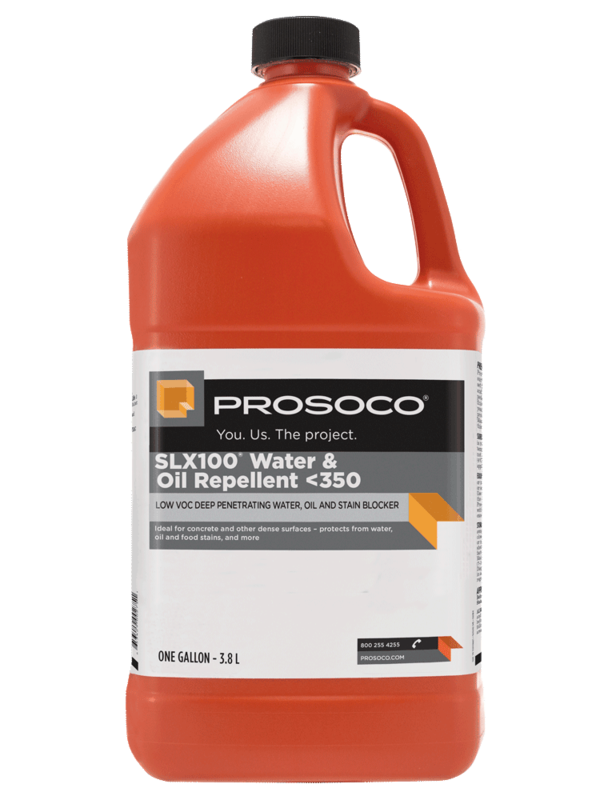 Low-odor and suitable for interior application to occupied buildings. COVERAGE RATE 60-300 sq ft/gal. 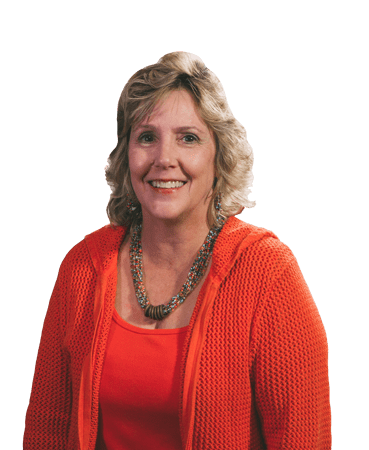 See Product Data Sheet for variations per substrate. Stand Off Stain Barrier is a penetrating water, oil and stain repellent. 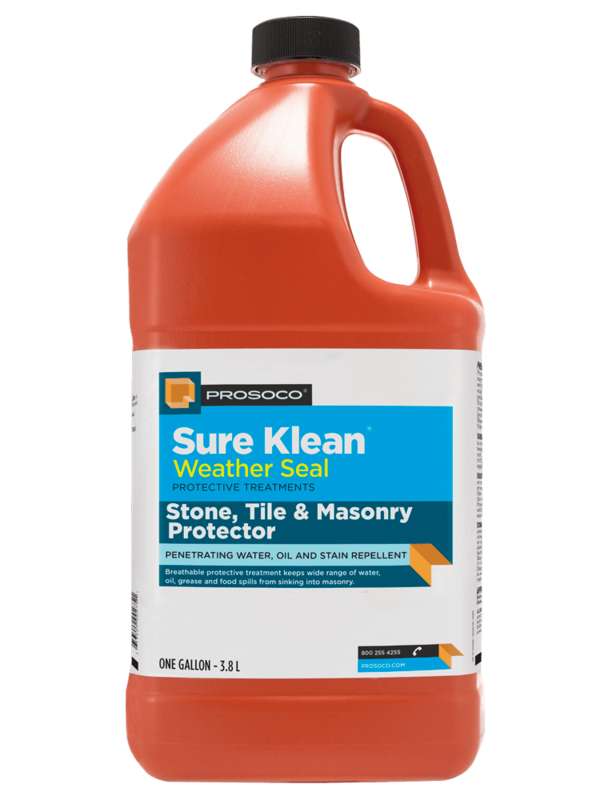 This easy-to-use, low-VOC, low-odor protective treatment improves stain resistance and simplifies maintenance cleaning of interior and exterior stone, quarry tile, concrete and masonry surfaces. 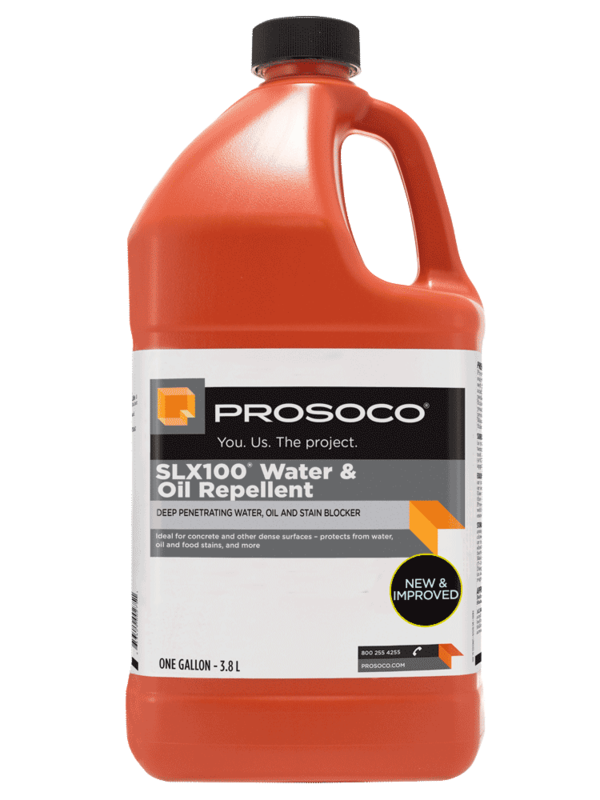 Surfaces treated with Stain Barrier resist staining from oil, food and waterborne matter while retaining their natural color, texture, and breathability.